This little guy has been hanging around my garden for a week now. Seems to be about night and day. I think he is lost and I imagine someone is really missing him. Hopefully he will be recognised. He is very friendly and affectionate. No collar and not micro chipped. 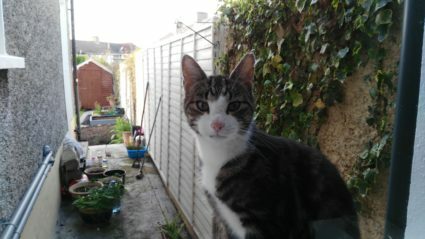 If anybody has any information about this cat please phone 086 818 4057.